In the context of 2 Chronicles 7:13-14, this is what God requires of His people—namely, that they may know that only God can deliver from drought or from a locust infestation (which comes by His hand). Therefore, just as God shuts up the heavens so there is no rain, and commands the locust to come and destroy, the humble are those who believe that God also will heal and deliver if they pray and seek His face and turn from their wicked ways. Yes, they are those who patiently wait on the Lord to deliver, because they know they are without strength to save themselves. Therefore, they trust in God and cast all their cares on Him (1 Peter 5:6-7); because they know that God cares for them even more than they care for themselves. 2. Pray – “and pray…” As we humbly confess sin and get into the Word, seeking to be broken, and as God indeed break our heart, prayer will naturally follow. It will be the prayer of praise and thanks to God for His mercy and grace. It will also be prayer that articulates all the needs of the soul. This kind of prayer will not just be the exercise of prayer, as in “saying our prayers”. 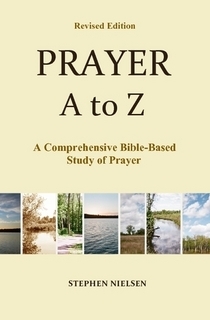 It will be more accurately termed prayerfulness, or having the spirit of prayer. Moreover, it will be transparent prayer—that which gives expression to our innermost desires; not selfish desires, but for all the desires that God Himself has places in our heart. Thus it will be prayer not just for self and by ourselves, but for others and with others. 3. Seek His face – “and seek my face…” This seeking of God’s face may be considered the more earnest part of our praying. It is the fervency, and the persistence of our prayers. It may also be considered as the strength of our prayers. Likewise, this seeking of His face is what makes prayer real; it is in fact the essence of true prayer. Thus when we truly repent and come to Him with a broken heart our prayers may be correctly termed a crying out to Him or a seeking of His face. 4. Turn from your sinful ways – “and turn from their wicked ways…” When we are touched by God’s purity and love, hence, when He has gotten a hold of our heart, we will turn from our sinful ways and follow Him. This I think is the climax of revival. It is that expression of repentance that really gives evidence that there is a revival going on in the heart. We can humble ourselves, pray, and seek His face, but if we don’t turn from our wicked ways it proves that we are not truly repentant, and consequently, there will be no revival. Therefore, this fourth step is crucial and absolutely necessary in order to see the following blessings of God. 5. God will hear from heaven – “then I will hear from heaven…” If we humble ourselves before Him, pray, seek His face, and turn from our wicked ways, then God will hear us when we pray to Him. This is the first of three promises, which are based on the condition of true repentance. This hearing is more than just a hearing in the ear. It is a compassionate hearing of the heart, a hearing with attention and concern, bringing with it forgiveness and healing. Accordingly, it is a hearing by God in which He steps down from His lofty place of glory in heaven, gets down to our level on earth, and looks compassionately into our eyes. Moreover, it is a divine visitation by which we hear Him and feel Him coming down to us in love. 6. He will forgive our sins – “will forgive their sins…” Those who have experienced true repentance and revival will always have two things in their life: they will have learned how to forgive others, and they will have experienced God’s forgiveness. These two things are inseparable, because unless we forgive others God will not forgive us. Remember Jesus words? “If you do not forgive men their transgressions, neither will your Father forgive your trespasses” (Matt. 6:15). Furthermore, as Stephen Olford has said, “It is not enough to say, ‘My brother, I forgive you.’ There must be true brokenness, repentance, and then forgiveness.” As a result, God will come to us with a wonderful forgiving and cleansing love. This personal experience of the poured out love of God upon us (which we experience when we repent and trust Him), is the key to the beginning of continued revival. For when we feel God’s love at work in us, it is then that we are awakened to a new interest in humbling ourselves and in doing the will of God in obedience. Thus we can say, “We love because He first loved us” (1 Jn. 4:19). 7. He will heal our land – “and will heal their land.” Healing, the third promise of revival is always followed by and is a result of the second promise, God’s forgiveness. This healing is not only of our land, but of all kinds: physical, mental, emotional, and spiritual. It is a healing by which He cleanses us, restores us, rebuilds us, and brings us back to health (Jer. 33:6-8). This last blessing of revival I believe is positive proof that there has been revival. Therefore, we know that revival has taken place when a country and a people have been healed and restored. God wants to heal all of us. He is waiting for our humble repentance so that He can heal our wounds and restore our broken bones. Truly He loves us and wants to see us in good health and rejoicing always in Him. Here is God’s seven-fold pattern of Revival. If we humble ourselves, pray, seek his face, and turn from our wicked ways, then He will hear from heaven, forgive our sins, and bring healing to our land (as well as to our bodies and souls). This post is an excerpt from my book Purpose of Prayer.